Luckily, for those that are interested in building more muscle, muscle has a twofold cosmetic function. It not only helps you look leaner and stronger but also makes your body more metabolically active. Muscle burns calories just sitting there counting its change. It makes sense, though. Fat is metabolically inert. It's simply stored, like a bowling ball in a closet. It isn't useful until it's needed. Muscle, on the other hand is constantly demanding, "Feed me, feed me" a la the blood-drinking plant in the Little Shop of Horrors. The more muscle you have, the more calories you need just to maintain your present weight. 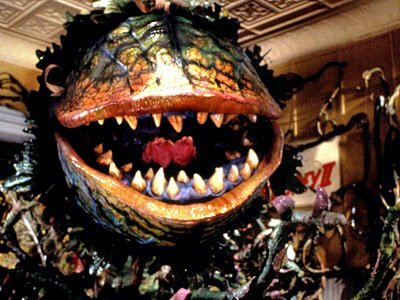 Oh, I was wondering what "Audrey II" had to do with this article! Made me read the whole thing, I like that ... and great analogy! References - Paul, B., 2018. Tribulus Alatus Testosterone Scientific Studies: Benefits, Dosage & Side Effects! [WWW Document]. Testosteroneofficial.com ie. Testosterone Official. URL https://testosteroneofficial.com/research/tribulus-alatus/ (accessed 9.12.18).